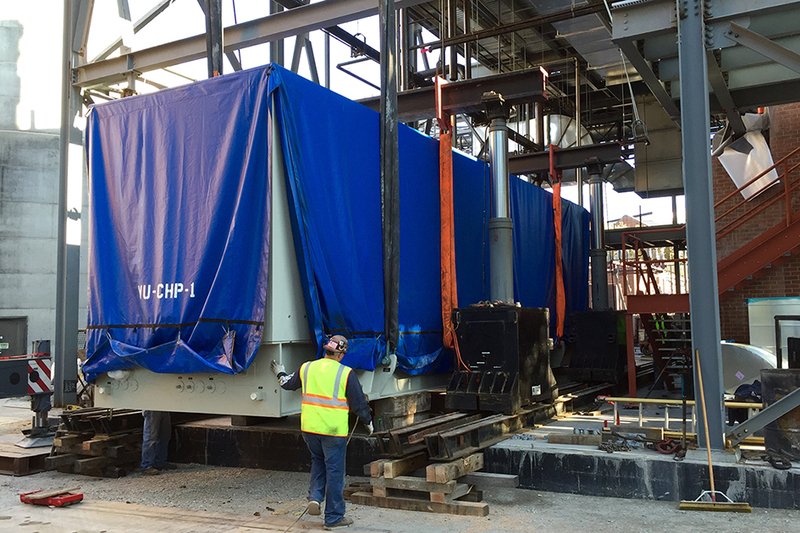 Sentry recently worked with Nashville Machine Co. on the installation of a Turbine Generator and Recovery Boiler at a local powerhouse. 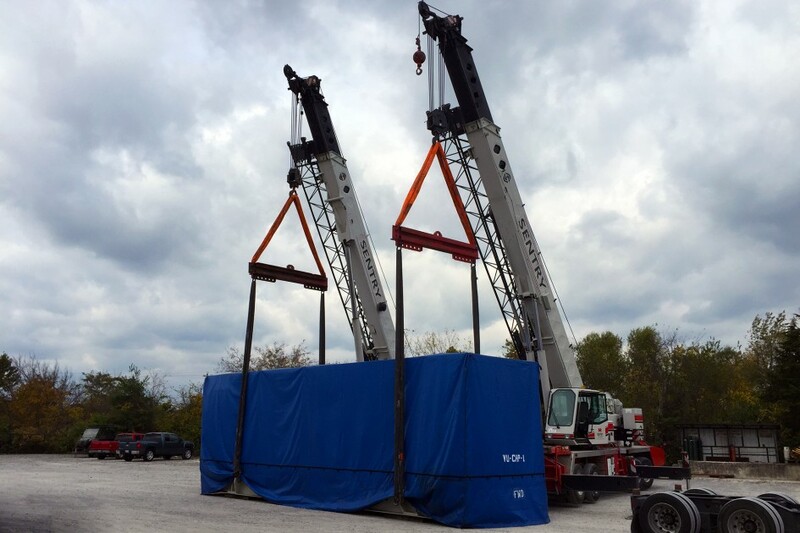 We received multiple pieces at our local yard that had to be lifted and transferred onto smaller transport trucks in order to have them on-site to be moved into place. The Turbine Generator was 11’ x 35’ and weighed approximately 115,000 lbs., while the Recovery Boiler was 17’ x 36’ and weighed approximately 135,000 lbs. The Boiler was shipped on its side, making it a challenge to lift and transfer the boiler to its upright position before the installation could occur. Sentry used a crane to lift both pieces to position under a 400 Ton Gantry System for final placement inside the power plant.